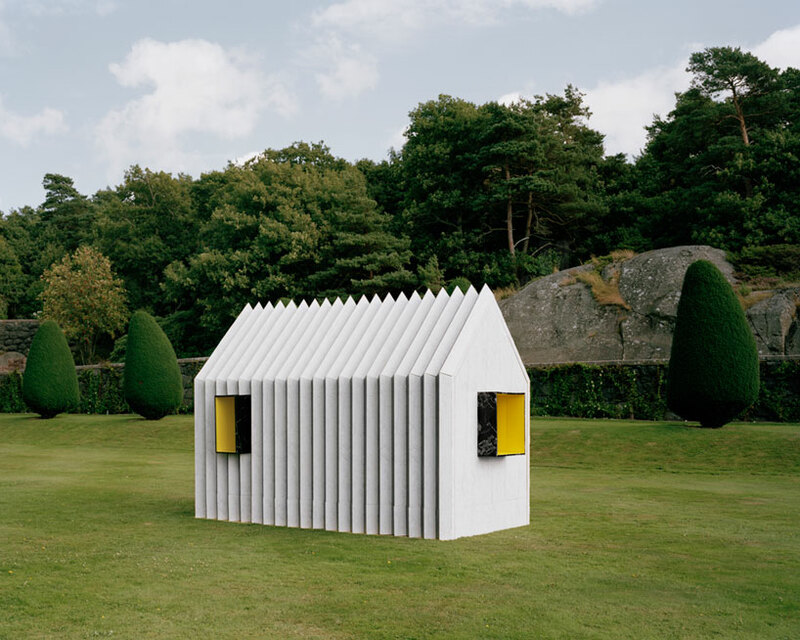 The Scandinavia-based architecture firm White Arkitekter has created a tricky all-paper cabin titled Chameleon Cabin. Made of corrugated paper and weighing roughly 100 kilos, looks like white marble from one angle and black marble from the opposite one. 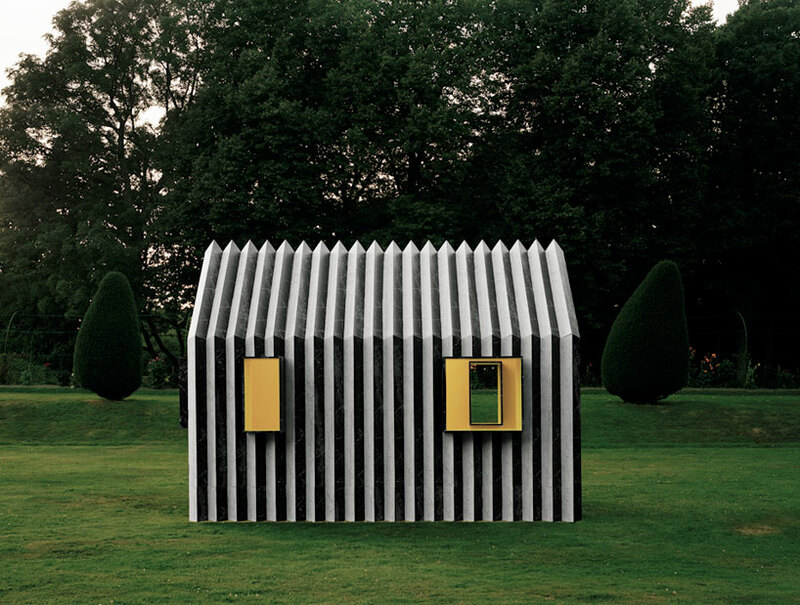 Using a simple system of tabs and slots, 95 paper modules—printed in white on one side and black on the other—were attached to form a cabin the proportions of which were based on those of a Swedish friggebod, a shed that can be built without planning permission. The modular system could be used to create longer structures as well. The bright yellow interior is a great glowing touch.